The row of cherry blossom trees of Izu Highland that bloom from late March to early April is just a 5-minute drive from the lodging. This year's cherry blossom festival will be held from March 23rd to 31st. 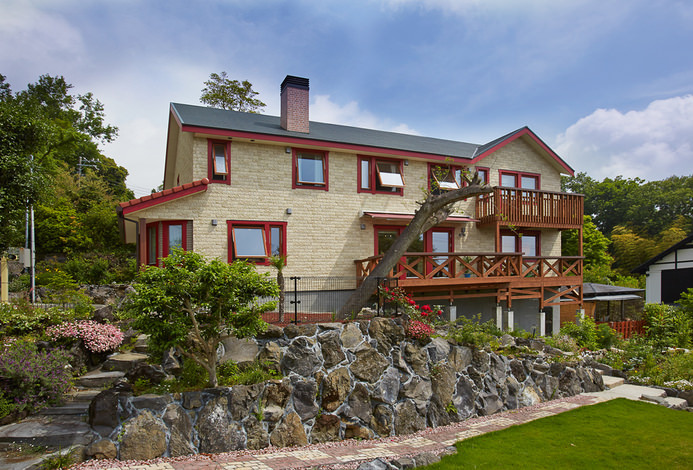 Thank you for choosing Chinese Auberge Shen'z out of the numerous lodgings in Izu Highland. The chef and owner of Shen'z always loved good Chinese cuisine, but disliked it when it was too oily. So, he thought to himself, why not make my own Chinese cuisine? 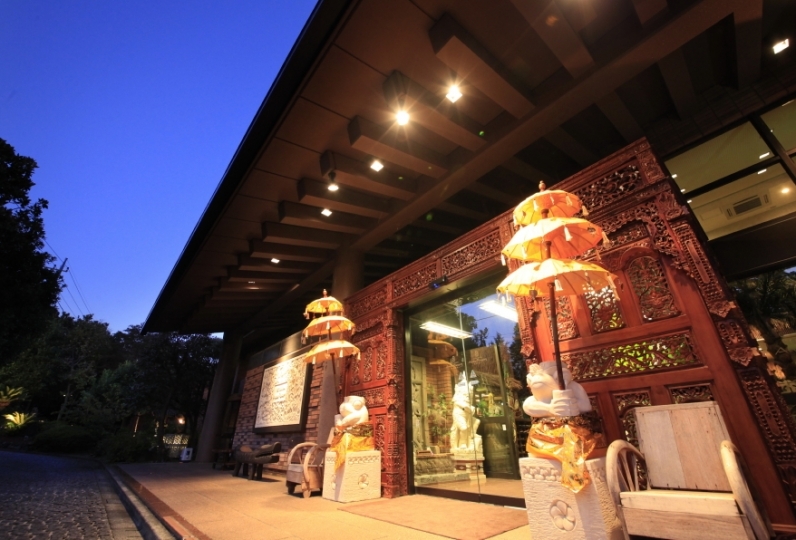 Chinese Auberge Shen'z was established by this owner, who adores the healthy flavors of Taiwanese and Chinese cuisine. Without using artificial additives, delicious and healthy Taiwanese and Chinese dishes are served here, with the flavors carefully created, down to the stock. The lodging values cleanliness above all else, while the cuisine here is all about the flavors. 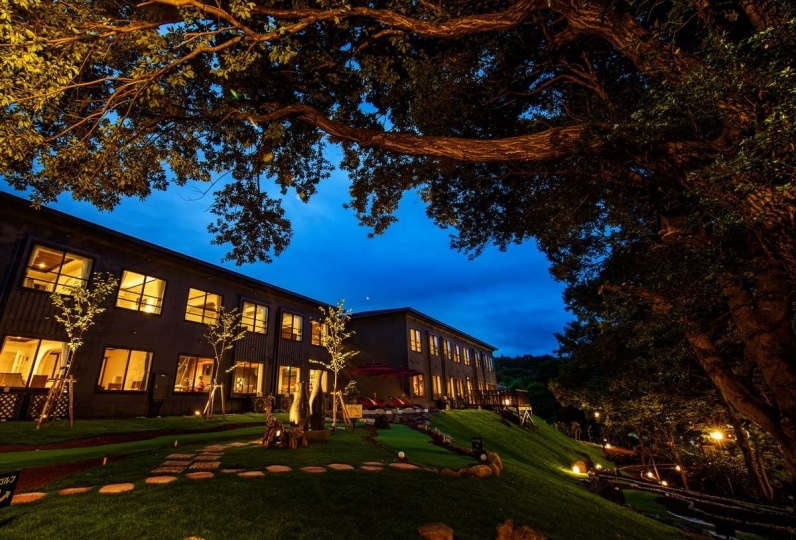 Why not stay at this small but wonderful lodging in Izu Highland? Especially the meal was satisfied. I also wanted to visit again with good service. My husband decided this by looking at the evaluation of the dish in the word-of-mouth. Personally, it was a journey while I was feeling some anxiety as I felt a small feeling like a pension of the type I usually do not stay longer from the photograph I saw in advance, but a young madam gave me a gentle aura It was very comfortable staying wrapped in. Just last time I went to Taipei last month, but the delicious delicious tasty delicious over there is a lot of supplemented ordinary oshiri sauce pickled from the appetizer and surprised the master. Moreover, its size of domestically produced freshwater is impressed with its taste in size enough to exceed home! Stir-fried favorite vegetables was exquisite salty taste, and Radish Mochi also loved us, it was a gentle and deep taste like Taiwan. The food is rather thin, but I finished eating the madam hand made final dessert in no time. 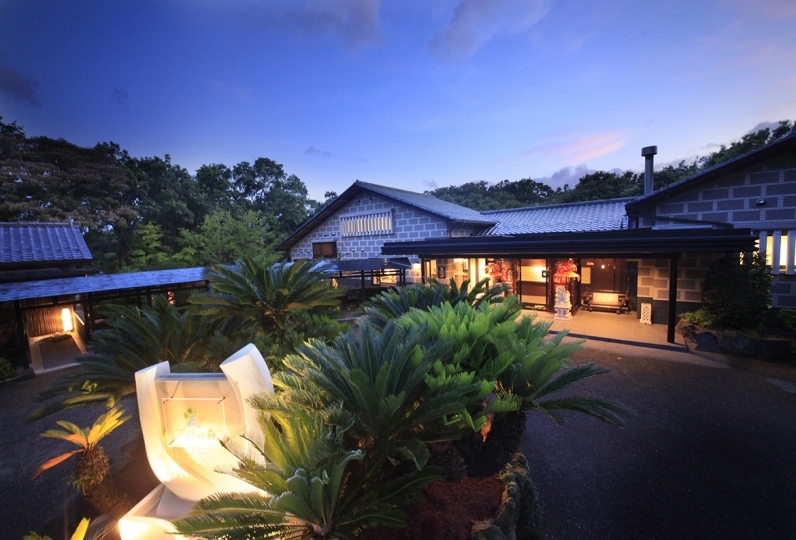 It is nice and beautiful room with glass rock bath spring hot spring, the couple together became a fan altogether. We will also visit the Kawazu cherry blossom season. オーナーのコンセプトが感じられる素敵な宿でした。 またお食事の接客も奥様はじめスタッフの方も最初から最後まで丁寧な接客でした。 部屋に入ると手作りのお菓子とお手紙が置いてあり、のっけからテンションが上がりました。 そして、噂に違わぬご... Read more オーナーのコンセプトが感じられる素敵な宿でした。 またお食事の接客も奥様はじめスタッフの方も最初から最後まで丁寧な接客でした。 部屋に入ると手作りのお菓子とお手紙が置いてあり、のっけからテンションが上がりました。 そして、噂に違わぬご飯の美味しさ。どれも重たくないのに満足感を感じられる絶妙な味付け。 美味しいものを食べてもらいたいという料理に対する意識の高さや、お客さんを本当に大切にされてる気持ちが伝わりました。 また初めて本格的な台湾料理を頂きましたがイメージとは違う辛くない優しいお味に虜になりました! 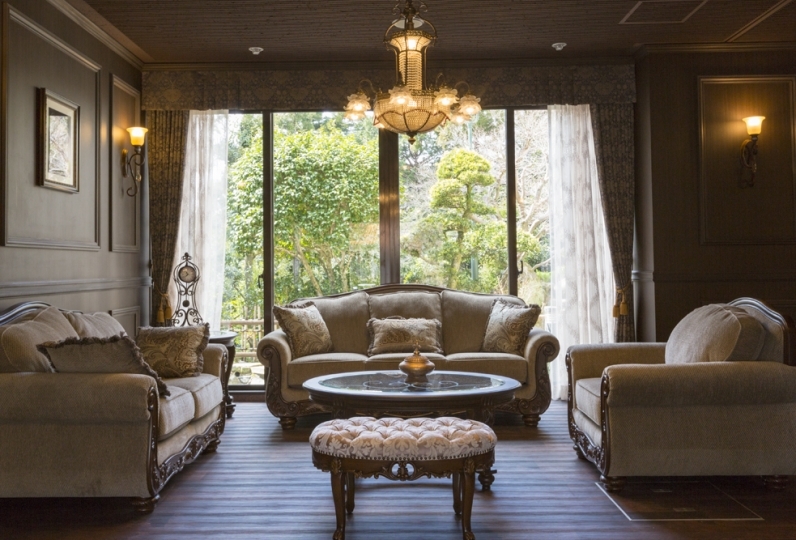 It was a nice accommodation where you can feel the owner's concept. In addition, we received attentive service of meal and careful customer service from wife and staffs from beginning to end. When I entered the room, handmade sweets and letters were placed, and the tension went up from the barefoot. And the taste of rice which does not match rumors. Exquisite seasoning which you can feel satisfaction but none are heavy. The high awareness of the dish that wanted to eat delicious food and the feeling that the customer is really treasured have been conveyed. It was the first time for me to have full-fledged Taiwanese cuisine, but I was captivated by the gentle taste not different from the image! 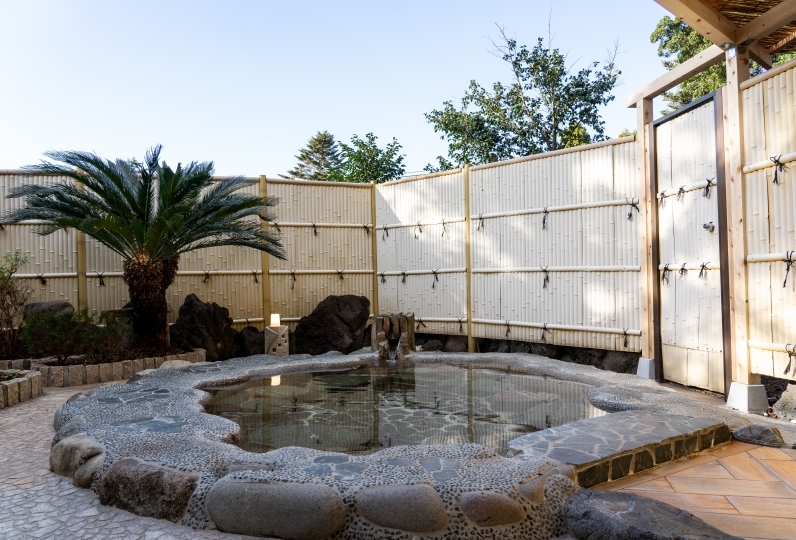 The 2 private semi-open-air baths can be locked from the inside, and uses natural hot spring water. 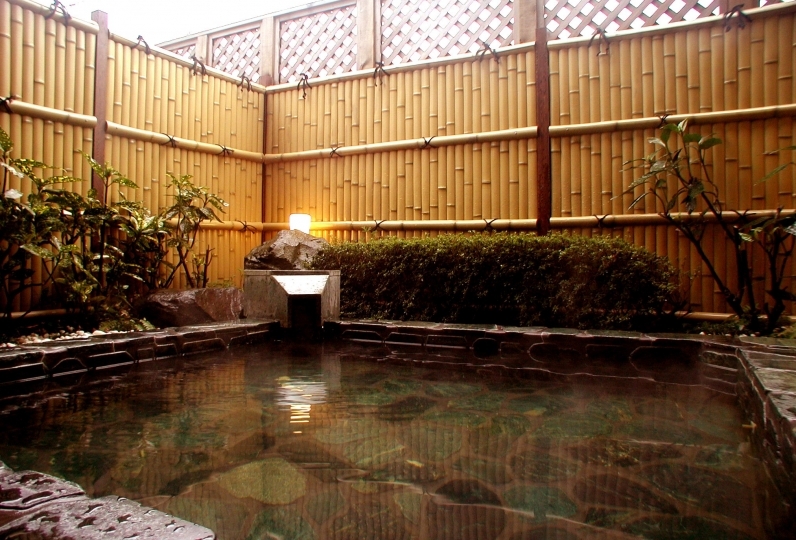 With double-glazed glass ceiling, the baths can be used even on rainy and windy days. There is also a screen door that keeps insects out in the summer. A deep bath with steps and handrails, the bath can be used comfortably. 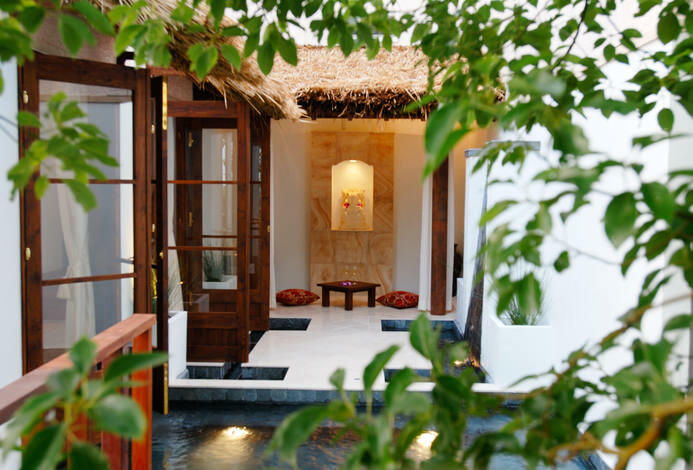 Guests can see whether these private baths are free to use from their rooms. There is a light to indicate when they are in use. If the light is off, the baths are available. Beneficial for Nerve pains, muscle aches, joint pains, tendency to feel cold, frozen shoulder, bruising, exhaustion. ・Non-smoking rooms only. There is a smoking area by the entrance. ・Children under the age of 4 are not allowed. 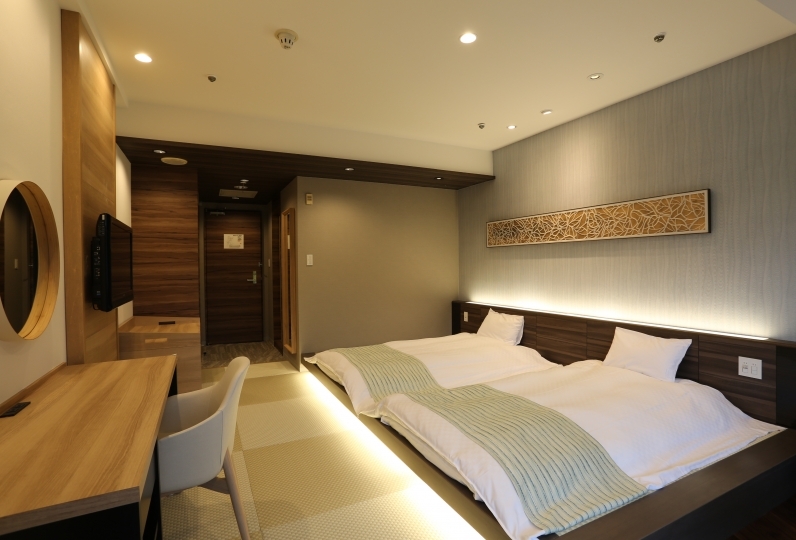 ・Guests requiring Wi-Fi internet access will be assigned a room with strong signal. 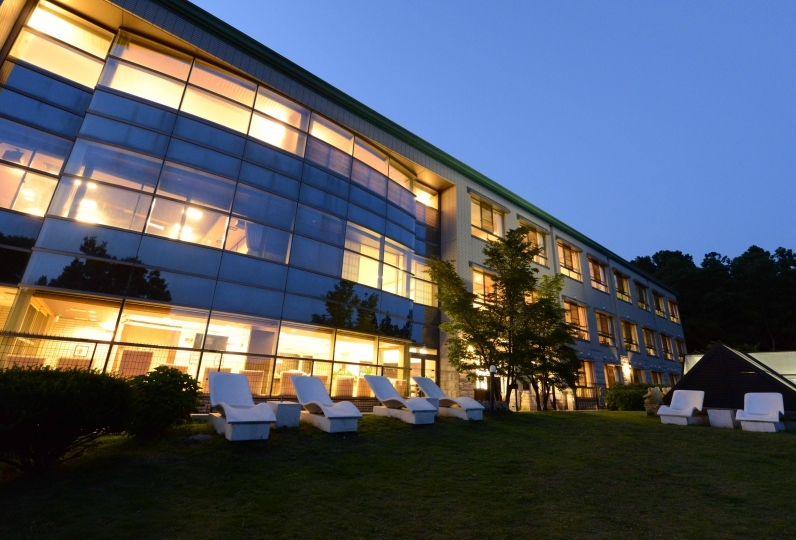 Please inform the lodging at time of reservation. ・2 charging stations for electric cars. Your car will be charged fully overnight for free. From JR Ito Station, take the Tokai Bus bound for Shaboten Park via Ippeki Lake, and alight at Minamihatsushimadai Bus Stop. It is a 3-minute walk from there to this quiet location. There is a free car park with 8 spaces (reservation not required). 2 spaces with charging station for electric cars (reservation required, charging cord required). Your car will be charged for free. 30% of accommodation price for cancellations 3 to 7 days before date of arrival. 50% if cancelled 2 days before, and 80% if cancelled the day before. 100% for cancellations on the day. 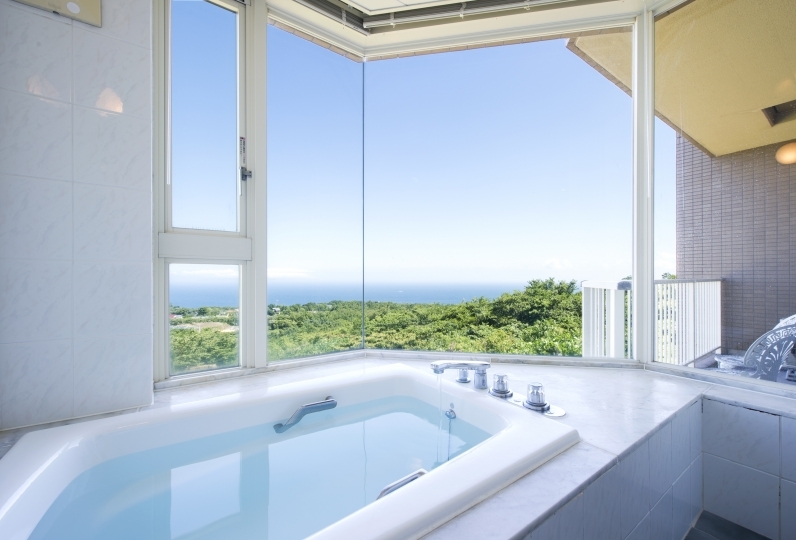 Bathing tax of 150 JPY is charged separately. Guests are asked to pay any additional charges incurred when transferring money. From Atami take the JR Ito Line to Ito. 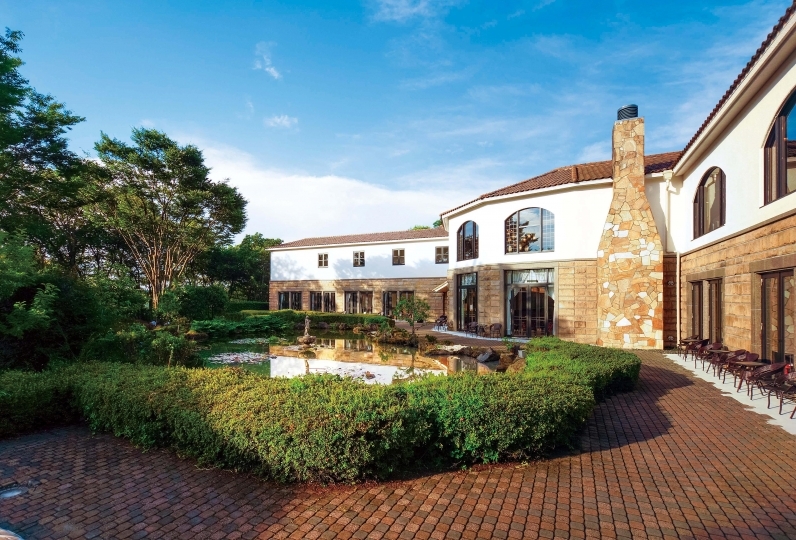 Transfer to the Tokai Bus bound for Shaboten Park via Ippeki Lake, and alight at Minamihatsushimadai Bus Stop. It is a 3-minute walk from there.